Why Katchie Thinks Felabration 2017 was a Mess - GlobeFarers | Travel Tips & Tour Bookings. Felabration is an annual music festival started in 1998 by Yeni Anikulapo–Kuti in memory and celebration of her father Fela Kuti, an Afrobeat musician and human rights activist. 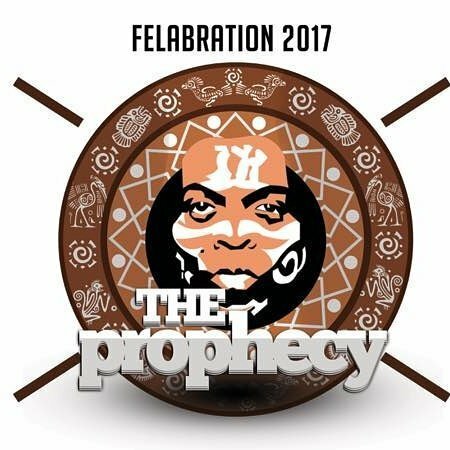 Felabration is a one-week-long event which is held annually at the New Afrika Shrine in Ikeja, it attracts visitors from different countries and has been considered as an official tourist destination by the Lagos State Government. Felabration is held on the week of Fela‘s birthday. The event features musical performances from top music acts from Nigeria and guest appearances from internationally acclaimed musicians and personalities. It also consists of street parades, symposia on social and topical issues, debates and photo exhibitions. Katchie, a Pan-Africanist travel blogger who has been taking a tour of African countries around the continent and is currently in Lagos Nigeria, attended the Felabration 2017 event and as always she has strong opinions about her experience at the event, which she shared via a twitter thread. Katchie thinks that the festival is an amazing idea on paper only, the sentiment to celebrate Felas life annually and in sticking to the values that Fela lived up to. She thinks that the festival can never be world standard, if after 20 years, the organizers are still clueless about the event. Opulence in Nigeria was brought into view at the Felabration event, it was more about what you look like and who you know. It was an excuse for rich people to show themselves, less than 50 people who bought tickets weren’t VIP. People were standing in a over crowded VIP structure. After 20 years of celebrating the event, the Felabration organizers seemed confused, they didn’t checkmate some factors. Major media houses were invited yet they had no passes, the bouncers weren’t briefed about them and there was no place for the media people, as the Shrine was over packed and there was literally no place for the media to stand and capture content. Also the stage was taller than the tallest person there and the speakers on the edge of the stage couldn’t let anyone take pictures of the performances at the event. Backstage at the Artist waiting room was so bad that Sautisol had to leave and come back later. There was also no provision of an emergency plan or first aid kit in sight or even an ambulance or fire station since there was loads of smoking going on there. It got really rough when Wizkid’s bouncers started to slap some of the Felabration organizers and the other bouncers were being abusive with baseball bats.